This is most likely the oldest Bushmills whiskey we have ever seen and could even be the oldest bottle we have had in the shop. 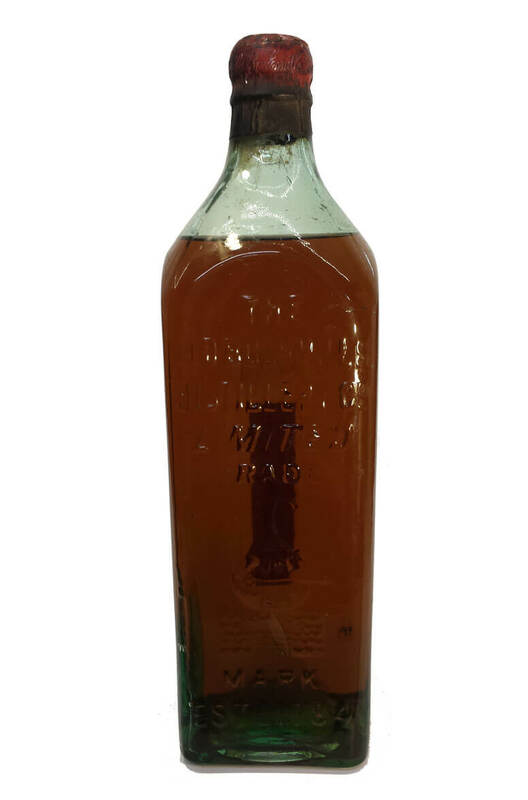 This unusual bottle does not look like it ever had a label but does have 'The Bushmills Distillery Co Limited, Trade Mark' written embossed on the glass. The aquamarine colour of the glass suggests this was made sometime between the mid 1800s and the early 1900s. There is no statement of volume or alcohol content.